In the first installment of our review of the mobile industry outlook and predictions from Silicon Valley Venture Capitalists (VCs), we covered the software vs. hardware bias in the VC community, opportunities in mobile payments and advertising, and opinions on the prospects for competition in device platforms. 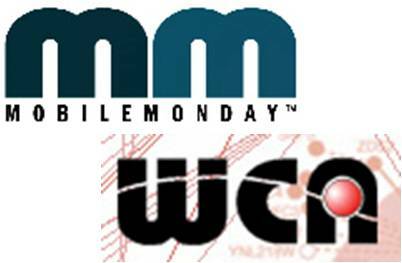 We compiled VC opinions presented at the Wireless Communications Alliance's (WCA) annual “What’s Hot (and What’s Not) in Mobility" event, and the Mobile Monday Silicon Valley (MOMOSV) “Year in Review & 2013 Predictions”. In this article, we cover the discussions of Enterprise Mobility and "The Internet of Things", which took place at both events, a discussion of various vertical market opportunities, and wrap up with the VC's predictions for 2013. While rapid consumer adoption of smartphones and other wireless gadgets has been the major driver of growth in the mobile space, VCs at both the WCA and MOMOSV events expressed the view that enterprise mobility remains a relatively under-exploited opportunity. Storm Ventures' Tae Hae Nahm drew an analogy between mobile and the early adoption of Personal Computers (PCs) by enterprise Information Technology (IT) departments. Just as the introduction of PCs in the enterprise led to development of enterprise software, says Nahm, so will trends such as Bring Your Own Device (BYOD) lead to development of more enterprise mobile applications. We are "only in the second inning" for enterprise applications, says Nahm. Redpoint's Scott Raney was even more bullish, calling enterprise the "hottest" area for mobile development. The trend toward BYOD and the consumerization of IT, is creating a greater focus on tools for securing data, said Raney. Redpoint has funded startups that are developing mobile applications first for enterprises, and more directed at smartphones than tablets at this point. At MOMOSV, Rich Wong selected enterprise IT facing applications as the greatest growth opportunity in mobile, saying that there has been relatively little discussion in this space compared to consumer. He cited the need to address security issues, IT management of applications, and the trend from PCs to mobile devices as areas for investment. Todd Carpenter also selected enterprise as his greatest growth opportunity, saying that there is currently "not much there", but there is a big need. As a rule, entrepreneurs and VCs are both wise to look for opportunities in vertical market segments that combine high growth with an under-addressed set of needs. Rich Wong warned, however, that there is a tendency to “look (negatively) at shiny pebbles from two years ago”. Wong pointed to Zynga as an example, saying that company's widely publicized post-IPO difficulties spoiled gaming as a segment for investment, but some companies still succeeded. "Old" verticals should not be overlooked, Wong advised, since they now represent working industry segments. Shasta Ventures Rob Coneybeer said that he is look for opportunities to reach offline industries that have yet to be impacted by mobile, using examples such as TaskRabbit (sort of like a moderated Craigslist list for odd jobs) PostMates (local delivery services), and RelayRides (local, community-based personal car rental) as examples.David Blumberg expressed the opinion that the service industry in general is "ripe for disruption". Topher Conway said that there are "massive opportunities" in education, to use mobile technology in the classroom. Conway used the example of ClassDojo, which is developing software tools for teachers with the intent of improving and monitoring behavior in their classrooms. At MOMOSV, Todd Carpenter said that he is "excited" by opportunities in mobile monitoring, in medical and wellness applications, highlighting the example of Nest - maker of a smart, learning thermostat for home energy efficiency. Hardware and the "Internet of Things (IoT)"
Rob Coneybeer, at MOMOSV, chose (what he called) "internet-powered hardware" as a top growth opportunity for 2013. Coneybeer, who has covered this topic on his 280.vc blog, said that the cost of starting such companies as Nest has declined dramatically. He gave other examples of companies that have been enabled by mobile technology, such as GOPro and JawBone, which he said are "doing hundreds of millions" in business but still have limited competition. Scott Raney, at WCA's event, also mentioned Nest in response to our question regarding the lack of any discussion of opportunities for the IoT. With companies such as Cisco predicting that "there will be 25 billion devices connected to the Internet by 2015 and 50 billion by 2020", this would appear to be a glaring oversight. Relay Ventures' Kevin Talbot expressed concerns for interoperability issues in developing the IoT, saying that there are "a lot of challenges". However, in an earlier discussion on opportunities for greater use of sensors in mobile devices, Talbot had shared his vision of a "world of connectivity", linking the home, automobile, and wearable devices. He repeated those themes in his choice of hottest areas for 2013, choosing the connected car, connected home, and device that facilitate the "quantified self". Sequoia's Timothy Lee predicted at least one "multibillion (dollar) event", which he said was likely to involve major movements, such as a merger or acquisition, involving Nokia or RIM. Todd Carpenter predicted a progressively greater "crackdown on privacy", especially for children. Topher Conway focused on (likely indisputable) increase in mobile commerce. Rich Wong predicted that the distinction of what is a mobile company will fade, with a greater merger of the internet and mobile. Ian Small predicted one million Firefox OS-equipped phones will be sold next year, which Telefonica is backing with their Open Web Device initiative. Small also predicted that a breakout IoT startup will emerge, but he doesn’t know what it is, and that Facebook will "figure out mobile". Going politicial... David Blumberg predicted that we will are at the "tipping point for taxation" in California after the November 2012 ballot initiatives, and that more businesses will be moving out of the state. Rob Coneybeer prognosticated that there will be a "huge breakthrough" in internet-powered hardware. Scott Raney forecast that 50% of e-commerce will be conducted on mobile devices in 2013. Qualcomm's Quinn Li said that his top 3 choices for 2013 are the enterprise, mobile health, and mobile video.